I recently got a great deal on whole chicken legs. This is such an easy but savory traditional Chinese cuisine that pretty much all Chinese families cook very often. All you need to do is put all ingredients in one big pot and let it simmer for about 1 to 1.5 hours or until the meat is tender. The sauce is great with rice or noodles. Try it and you will love it!! This is a super easy “rice killer” dish. 🙂 Little bit of sweet, little bit of spicy, little bit of savory. The best part is that it’s another one-pan dish. All you need to do is to put all ingredients into one pan and done!! My favorite ways to cook. This is a super easy, no pressure for working moms, and quick recipe: the pressure cooker curry rice. All you need to do is prepare the materials, put them all in pressure cooker, and then wait for itself to be ready to serve!!! All together took me about just 30-40 mins. While waiting, you can even get a little rest or prepare fruit or dessert. Isn’t it amazing? 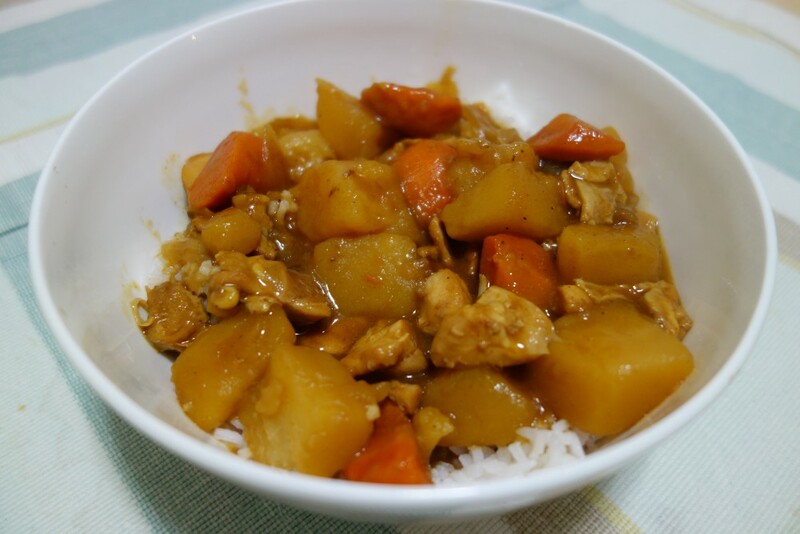 Continue reading Pressure Cooker- Super Easy Curry Rice 30分鐘輕鬆上桌，超簡單壓力鍋咖哩飯!!! Posted on February 8, 2015 April 19, 2015 Categories Asian Recipes, Chicken/ Poultry Dishes, Entrees, Pressure Cooker Recipes, Rice/ Noodles Staple DishesTags curry, food, japanese, pressure cooker, riceLeave a comment on Pressure Cooker- Super Easy Curry Rice 30分鐘輕鬆上桌，超簡單壓力鍋咖哩飯!! !